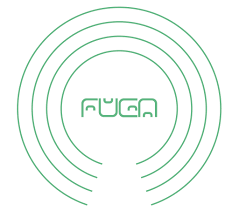 FUGA, a leading digital music distribution platform for independent record companies, distributors and artist services platforms, is currently looking for an experienced, enthusiastic and driven colleague to manage the Benelux Region. Job description Your key responsibility is growing FUGA’s Benelux client-base and managing FUGAs operations in the Benelux. The role may be developed to include more territories and also managing a team. Responsible for growing our business in the Benelux, driving key sales trajectories with a particular focus on labels and premium artist management companies Maintaining close relationships with our key Benelux-based clients Proactively reach out to prospective new clients Qualify incoming leads and analyze potential of prospective clients Manage introductory calls, FUGA platform demos, and present custom marketing strategies Represent FUGA at local industry events Implementing the necessary processes for FUGA to sell its products and services in the Benelux and to perform required after sales service Managing contract negotiations and process with Benelux clients Manage and expand local client base, end responsible delivering regional budgets for the Benelux Investigate new leads through industry research Working closely with the Client Services team and the wider global sales team Manage all back-office and administrative aspects related to the local entity Implement product and service policies defined by the HQ in Amsterdam Reporting to FUGA’s Global Director Of Sales & Client Services Requirements Who you are You are social, outgoing, industry savvy, communicative and have experience dealing directly with business leaders to foster new opportunities and strengthen industry relationships. Some of the core qualities and capabilities we feel are required for this role are: Seven or more years of experience in a business development and/or label relations position within the music industry Strong network in the Benelux music industry Creative and independent worker / thinker / planner Knowledge of the music industry and music industry trends Motivated to develop and foster independent distribution processes Analytical and investigative Strong capability for cultivating trust within partnerships Ability to interact and work on a trusted level with clients Experience working for an international company Confidence in a negotiation and business terms discussion Affinity with a technical (digital) product suite and a broad services offering Who we are Enthusiastic team and a growing company with strong ambitions International business environment, colleagues and clients around the world with diverse backgrounds in music and tech Egalitarian, transparent environment with career growth opportunities Part of a dynamic industry: technology, media and entertainment About FUGA Founded in 2006, FUGA builds software and provide services for the digital music industry. We have an extensive and growing international network of clients and partners. Our HQ is based in Amsterdam, the Netherlands, with offices in New York, London and Milan and representatives in Paris, Los Angeles, Korea and Brazil. We operate at the heart of the music industry with clients such as Tommy Boy, Ultra Records, Curb Records, Spinnin' Records, Armada Music, Epitaph, Domino Recording Company, Riot Games and many more. FUGA connects these record labels, artists and distributors with online stores such as Spotify, iTunes, and Apple Music. By doing so FUGA enables its clients to optimize their business processes and successfully execute their strategy. FUGA's products & services provide a complete ecosystem for the digital product cycle. Clients manage, distribute and promote their music and collect on their revenue.  FUGA, a leading, international digital music distribution company, is looking for a highly motivated and experienced paralegal to join FUGA’s legal team in Amsterdam. You will respond to the General Counsel and be involved in all areas of work of FUGA’s legal department. The ideal candidate should be available to work from our Amsterdam office at least 36 hours What you do Assistance with creation of new contract templates and maintain/update current contract templates Review NDAs and variation/amendment/extension letters without supervision Manage drafting and negotiation of standard content licences under minimal supervision Assist HR with drafting contractor agreements/variation letters Legal support with various corporate projects Assistance with drafting internal policies Prepare presentations for the legal team Management of contracts signing and filing group-wide Management of the legal database (both digital and physical) Assist the Finance and HR with administrative tasks (on ad hoc basis) Requirements Who you are You are a paralegal/legal assistant with 2-4 year experience in working in a law firm or a busy in-house department At least 2 years in contracts drafting and negotiation is needed You have a keen interest in the Music Industry/Music Law You have the ability to work independently as well as working in a team You have exceptional attention to detail and a strong proactive approach to maximise and constantly improve existing procedures You have exceptional organisational and communication skills You have the ability to work in a fast-paced environment and to handle multiple tasks at once. You have excellent verbal and written communication in English and Dutch. Who we are Small, enthusiastic team and a growing company with strong ambitions International business environment, colleagues and clients around the world with diverse backgrounds in music and tech Egalitarian, transparent environment Part of a dynamic industry: music & technology Location in the heart of Amsterdam. Please send your resume and cover letter in English. FUGA, a leading digital music distribution platform, is currently looking for an Administrator to support our Finance & HR department. The group’s staff departments are based in Amsterdam and reporting to the CFO consist of Finance-, Legal and HR department. Your key responsibility is supporting the Finance and HR team of FUGA to ensure our company’s high performance and continuous growth. Main components of the day to day activities for this role are: Finance: Bank reconciliation (bank, paypal, credit card, other payments in bank); Review & create the customer and vendor input for our sales/ finance departments; Review and book expense reports of our employees; Finance inbox: daily review of incoming emails, picking up requests from employees, customers and suppliers, other ad hoc emails; central point of contact; Solving problems with vendors / creditors/ debtors; HR: Assist with the on boarding of new employees, collect loonbelastingverklaring / copy passport/ signing process employee contracts; Registration of sickness in ARBO portal; Registration of holidays; Application to the pension scheme; Filing employee contracts or contractor agreements on the HR drive; Prepare the monthly payroll process in collaboration with our payroll company; Registration of new employees in Numbers and staff overview; Send information to PWC according our payroll; Adding new employees to Netsuite for expenses; Overall Implement necessary operational improvements; Other general administrative tasks. Requirements Job requirements Associate degree in relevant fields (Finance); At least 5 years’ experience in a similar role; Experience with financial software is a must, and experience with NetSuite is a pre; Affinity with personnel and related matters Experience in MS Office and other administrative tools; Excellent communication and analytical skills; Be pro-active, an eye for detail and work with accuracy; Willingness to learn and grow and align with ambitions of the company Excellent verbal and written communication in English language; Affinity with working in an international environment; Music lover. Who we are Small, young and enthusiastic team in a growing company with strong ambitions; International business environment, colleagues and clients around the world with diverse backgrounds in music and tech; Egalitarian, transparent environment with career growth opportunities; Part of a dynamic industry: technology, media and entertainment. FUGA is growing and we are looking for motivated people that can help us excel in the ever-changing digital music and technology industry. Currently we’re looking recruit a senior DevOps engineer to lead our DevOps team. The Job: Lead our DevOps team (people management, sprint execution), report to the CTO. Continuous integration / Continuous delivery: reduce the time to market by improving the development pipeline to make sure software changes go to production in a fast and reliable way. Monitoring: Use industry standard tools to automate monitoring our production environment. Set up resource metrics, work metrics and proactive alerts. Infrastructure: Improve resilience, scalability, performance by leveraging high availability and cloud environments. Design and implement the next generation modular, performant and maintainable FUGA SaaS back-end architecture and continuous deployment infrastructure to provide fault tolerant high available services to our clients. Oversee the hardware budgets. Work and learn within a small Scrum team with autonomy and freedom in making decisions. Drive new features for FUGA from end to end though prototyping, validation, implementation, launch, and further iteration. Work within a product company, using modern technologies, diving deep into technical problems, writing clean code and doing things right. Informal working environment in the canal district of Amsterdam. Competitive package, flexible working hours. Requirements You are: A talented DevOps engineer with a solid background in Computer Science. Bold and curious, not scared of new technologies and with a constant desire to learn, grow, teach, lead and improve. Enjoying the challenges of building an infrastructure for data intensive, highly responsive, and fault tolerant apps. You have: A minimum of 5 years of hands-on experience with the following concepts or technologies: Linux system administration; On-premise server maintenance; Networking concepts, design and hardware responsibility; On-premise / cloud hybrid setup; Provisioning tools like Docker and Chef. A minimum of 3 years of experience working in a team lead role. A minimum of 3 years of experience working in a tech lead role, overseeing execution of multiple infrastructure projects. Preferably, a passion for music! FUGA is growing and we are looking for motivated people that can help us excel in the ever-changing digital music and technology industry. Currently we’re looking to recruit a Principal Engineer. The job: Work alongside and report to our chief architect. Spend roughly 1/3 of your time assisting the chief architect in overseeing the development teams on a technical level; 1/3 of your time consulting teams on technical matters; and 1/3 of your time coding, helping teams out that require assistance or development power. Formulate guidelines for FUGA wide development practices and oversee implementation. Drive new features for FUGA from end to end though prototyping, validation, implementation, launch, and further iteration. Maintain and extend FUGAs music distribution platform, a digital music content management and workflow pipeline system distributing millions of albums per month to stores like iTunes and Spotify. Work within a product company, using modern technologies, diving deep into technical problems, writing clean code and doing things right. Informal working environment in the canal district of Amsterdam. Competitive package, flexible working hours. Requirements You are: A talented engineer with a solid background in Computer Science and at least 8 years of experience in Java software development. A strong communicator. A confident engineer that thrives within a product company, and enjoys the challenges of building data intensive, highly responsive, and fault tolerant apps. You have: Outstanding communication skills. The ability to drive or assist a team towards a clearly defined direction. Experience with: Java 8, Hibernate, Spring (Security, data, AOP, Spring Boot), Docker, ElasticSearch, CI/CD, Microservices, Google BigQuery, Jenkins, MySQL, Git. Preferably, a passion for music! FUGA is growing and we are looking for motivated people that can help us excel in the ever-changing digital music and technology industry. Currently we’re looking to recruit a Java Software Engineer with CI / Infrastructure skills. The job: Work and learn in our DevOps team with autonomy and freedom in making decisions. Drive new features for FUGA from end to end though prototyping, validation, implementation, launch, and further iteration. The focus of this is role is geared towards infrastructure and scalability. Maintain and extend FUGAs music distribution platform, a digital music content management and workflow pipeline system distributing millions of albums per month to stores like iTunes and Spotify. Work within a product company, using modern technologies, diving deep into technical problems, writing clean code and doing things right. Informal working environment in the canal district of Amsterdam. Competitive package, flexible working hours. Requirements You are: A talented Java Developer with a solid background in Computer Science. Interested in DevOps, CI, infrastructure. Bold and curious, not scared of new technologies and with a constant desire to learn, grow, teach, lead and improve. A confident team lead that thrives within a product company, and enjoys the challenges of building data intensive, highly responsive, and fault tolerant apps. You have: At least 3 years of experience working full time in Java software development. Experience with: Java 8, Hibernate, Spring (we use security, data, AOP, Spring Boot), building REST APIs, JPA, MySQL, Git. Affinity/experience with Docker/CI. Experience with Linux. Preferably, a passion for music!